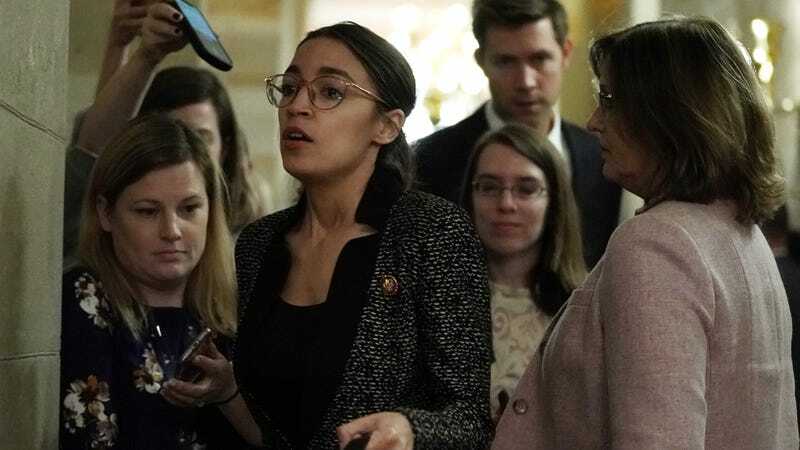 Ana Maria Archila, one of two women who confronted Jeff Flake after he said that he would vote to confirm Brett Kavanaugh to the Supreme Court, will be Alexandria Ocasio-Cortez’s guest for the State of the Union, the Intercept reported on Monday. Archila, who is a constituent of Ocasio-Cortez’s and co-executive director of the Center for Popular Democracy Action, shared her own sexual assault story for the first time alongside fellow protestor Maria Gallagher when she confronted Flake, demanding that he explain his support of Kavanaugh. In a video that went viral, Flake demurred, staring at his shoes in the corner of the elevator. While Flake eventually voted for Kavanaugh, he pushed for an FBI investigation soon after Archila and Gallagher stopped him in the elevator, delaying the nomination. As Archila said in a statement back in September, Flake “claims to support civility, but has proven today that he would rather ignore women’s stories and support a disrespectful sexual abuser than stick to his values.” On Tuesday, Archila won’t be ignored, either.